Finally, a leash that has as many functions as you and your pooch need! 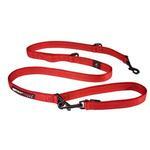 Great for highly-active dogs and owners. Swiveling snap hook for attachment to collar or harness. Can be used at 3 lengths: 3', 4' and 5' by clipping snap to one of the heavy-duty D-rings. The Vario 6 Multi-Function Dog Leash from EzyDog uses a snap hook to attach to a collar or harness. It can adjust into three different lengths by simply clipping the snap hook to one of the three heavy-duty high tensile nylon D-rings. This EzyDog Vario 6 Dog Leash can also be used as an across-the-shoulder or around-the-waist for a hands-free leash option! Can also be used for tethering at different lengths when stationary. 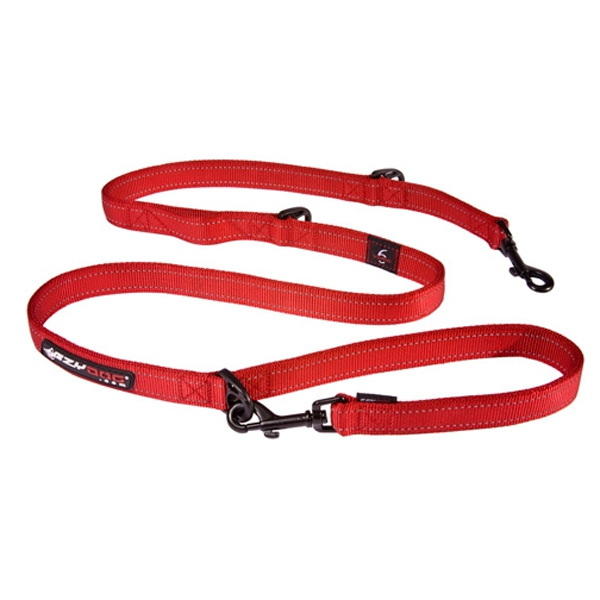 Sturdy and durable, this Vario leash is practical and long-lasting! I didn't have a reason to contact customer support for this order, but I did have to for a previous order, because of sizing, and I received excellent help by a very nice and knowledgeable person. I have been very pleased with all of my experiences with Baxter Boo.